The software industry is one of the largest industries that exist, raking in dozens of billions of dollars a year. A large portion of this industry comprises of the video game industry. The majority of teenagers are exposed to video games, whether console or mobile games, and are often captivated by them. 4th Dymension has set out on a mission to teach them how to make their own video games, and by extension their own software. 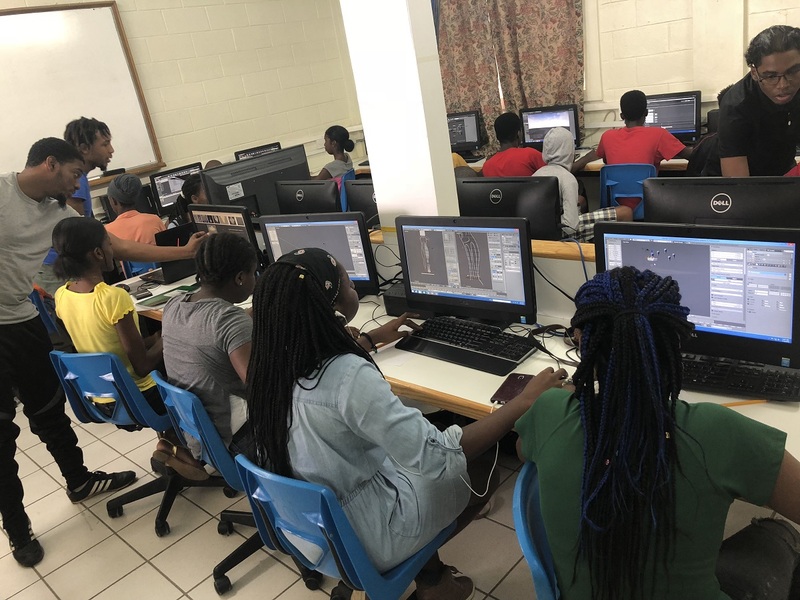 The 3-D Modeling, Programming and Design Camp hosted by 4th Dymension began on Monday July 16 and will run until August 3rd. According to the organisers, the camp is designed to expose students between the ages of 13 and 18 to skills used in the discipline of software development. 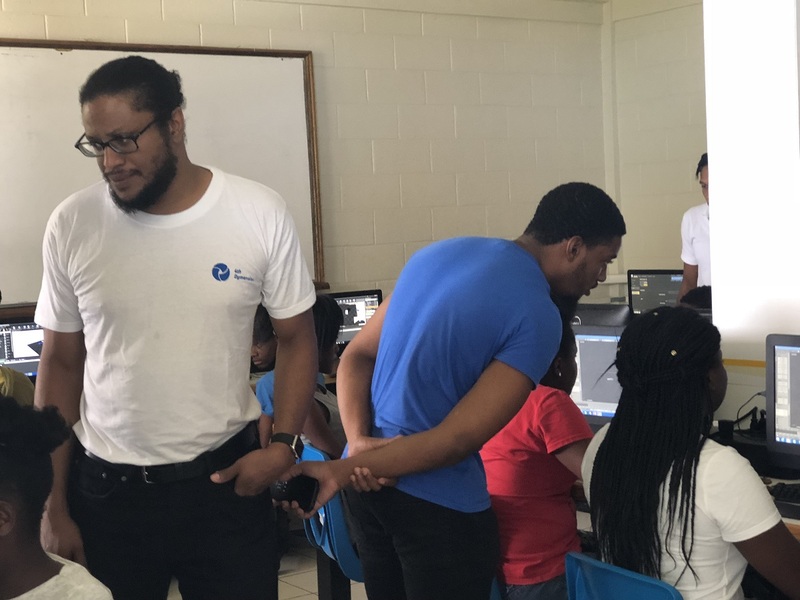 Participants are split into three teams, 3-D Modeling, Programming and Environment Design, in order to work to produce the final product – an interactive video game. These teams represent essential elements in the video game development industry and participants will learn how these groups interact with each other. The participants are sponsored by the Ministry of Communications, Works, Energy and Labour, Montserrat. Equipment for the camp is sponsored by The Umpire, a local business. 4th Dymension’s main goal, through this camp, is to widen participants’ views on software development and encourage them to be not only consumers of software but creators and innovators. The company is behind the Plymouth Re-Creation Project which is a virtual reality experience taking viewers back in time to the former capital city before volcanic eruptions began.